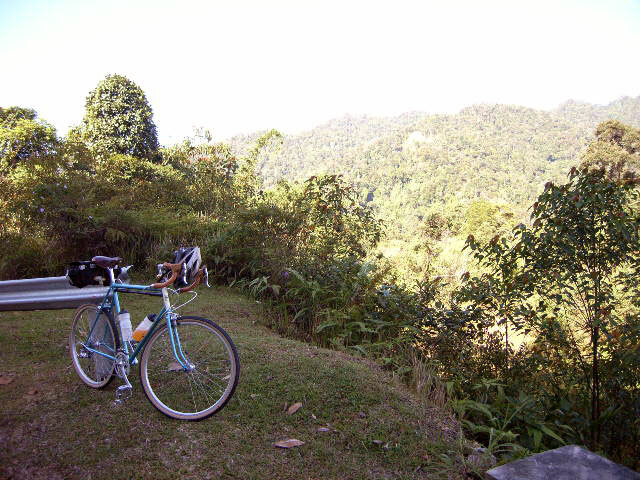 These are pics of my Bleriot on her maiden ride thru the Malaysian rain forest. 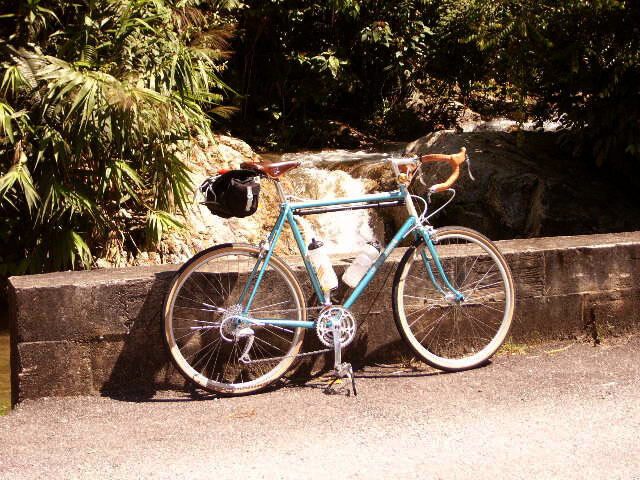 It's a climb up Fraser's Hill, about 100km away from Kuala Lumpur. 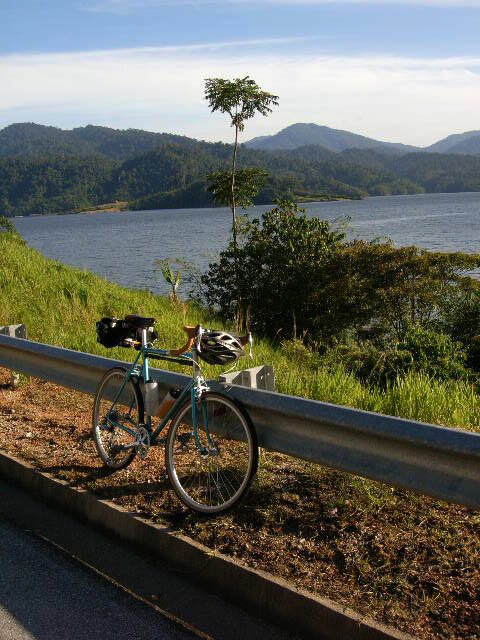 This route has been featured on many Tour de Langkawi stages. 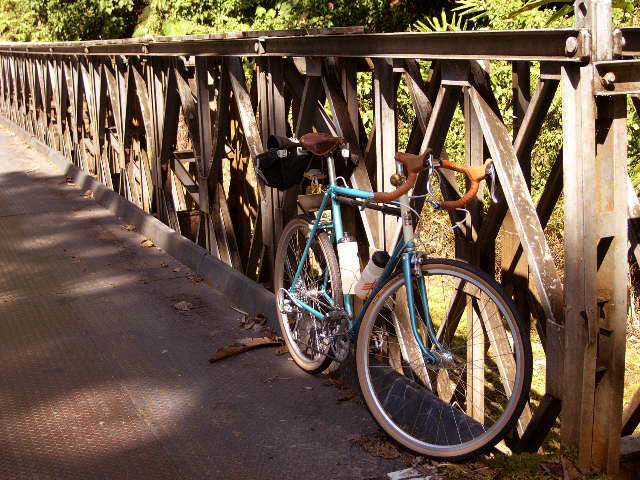 The route meanders around a man made lake before cutting thru the rain forest. This actually crosses the Main Range which divides Peninsular Malaysia in half lengthwise. The temperature was around the low 20s centigrade, very pleasant. This is a watershed of the area, so the forest is pretty much protected. There are numerous mountain streams at every turn. Since its the monsoon season now, plenty of water flowing.